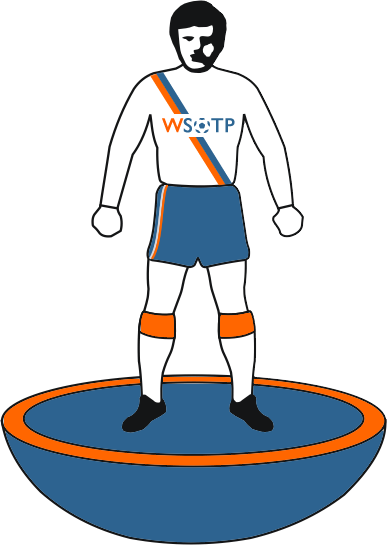 feeling important these days, thanks to the boys over at the football attic taking a fancy to the subbuteo figure i submitted their “league of blogs” project. The Euros are over, thus ending a three-week stretch where I’ve felt like I have been drowning in football. I mean, I’ve been seeing matches when I sleep… far more than normal, at least. I needed a break, which is something I never thought I’d say about the game. But the headlines just keep rolling out, as if I had forgotten that the world of soccer never sleeps, takes breaks, or allows me to catch up with the rest of my life. I mean just some of the headlines that caught my attention, and probably deserve an article of their own. Thanks to an epic final, Spain have officially entered G.O.A.T. territory. Transfer madness is in full swing: big names already on the move, others look to be doing so soon, and — GHASP!!! — Spurs are even getting in on some early action. So as I put the finishing touches on about four different articles, I figured I could pacify you readers with another edition of TWOL. And if that sounds like a raw deal to you, I’m sorry… but you’re going to need to deal with it. Next Post: football as a billboard… for politics?